But I couldn’t resist this red number. 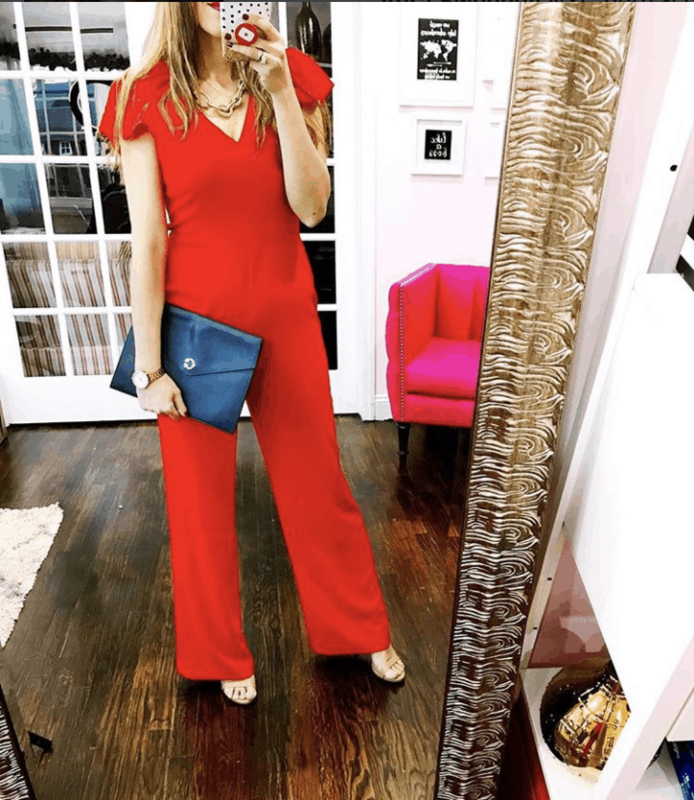 You can pick up the Charles Henry Ruffle Sleeve Jumpsuit for under $100 yourself if you click here. I’m wearing a Medium – so I feel like it is pretty true to size. If I had an oversized gold belt, I would have tried it on. Maybe even a cheetah print? Too much? I don’t know????? I feel like it would have worked. But I’m not much of a belt person – so plain had to do. Do you have any plans for Valentine’s Day? Every year, my husband and I order Colombian food from this great place in the next town over. Colombian is probably my FAVORITE FOOD. I eat until it HURTS OMG. It’s a family tradition now. We don’t typically order from this place because the amount of food you get is INSANE. Instead, we wait for special occasions. I’d say Valentine’s Day counts as one. Have you worn jumpers in the past? What do you think about this red one?